OnAxis Music has a special knack for capturing what you do with a world-class bio. Our bios receive compliments from our industry peers. From musicians to technicians, if you're in the music industry, your bio will shine with OnAxis. Read bios below for repair techs, bands and solo artists. With a successful presence at SXSW 2012, plus airplay on 140 college and community radio stations, The Future Laureates are celebrating with unabashed energy and triumph. Offering positive punk-rock energy with folk/pop musicianship, their sonic champagne is frothing and bubbling with the release of their third studio album, “Fortress Sessions”. It is seriously full of fun. 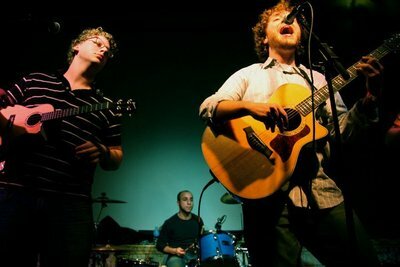 Since the release of their new record, the band has had their music talked about in blogs ranging from Music-Defined.com and Southside on the Town to Chicagoist.com, as well as a plethora of internet radio stations and podcasts. They’ve established connections with fans over shared interests. The bleakness of current events or dynamics of interpersonal relationships faced by college-age crowds (most of them singing along) can’t be downtrodden as the pure sunshine of radio-ready pop comes through in every millisecond. Soaring harmonies glide through serious matters of the head and heart, along with major jamming by guitar, bass, drums–and ukulele. 2011’s “Rethink the Recession” led to reviews of “Kingston Blues,” the EP’s single, as “a fresh and fun melody led by a lively rhythm, brisk percussion, and warm, spirited vocals.” (Chicagoist.com) and “…it’s not just a gimmicky thing; he jams the livin’ crap outta that uke!” (DailyLimerick.net). The same year, the album won licensing deals with a variety of shows on MTV, Showtime, and Discovery Networks via Tinderbox music. Touring has brought together even more fans through numerous Midwest and East Coast journeys as well as hometown venues including Chicago’s House of Blues, DC’s Rock and Roll Hotel, and the Congress Theater for the 3rd and 4th annual Chicago Bluegrass and Blues Festivals. They’ve shared crowds with Edward Sharpe & The Magnetic Zeroes, Drive-By Truckers, Grace Potter and the Nocturnals, hellogoodbye, Cory Chisel and the Wandering Sons, JC Brooks and the Uptown Sound, and Dawes. Through it all, they keep it smart, fun and rhythmic. In 2012, The Future Laureates have added “the fifth Beatle” with Chicago’s CAUDog Records. Working with accomplished producer Ellis Clark (Nikki Sudden with Jeff Tweedy of Wilco, Kim Thayil of Soundgarden), the recent album is their strongest effort to date. “We’ve treated it as a separate entity and process than our live shows, with additional organ, piano, horns, percussion, and most notably, violin,” says Danny Surico, primary songwriter for The Future Laureates. “Fortress Sessions” sees TFL’s three founding members (Danny Surico (guitar/vocals), James Hyde (bass/vocals) and Matthew Daigler (ukulele/vocals) polish 12 gems with an unprecedented level of honesty about the songwriting and arrangements. Also contributing are special guests Ellis Clark on keys and organ, Mike Scheiman on guitar, Aaron Apter on drums and percussion, Kristina Priceman on violin, and Emily Claire Palmer on vocals. The album gained its unique title from the band’s practice space and songwriting hub, a coach house fondly nicknamed “The Fortress” tucked away in Chicago’s Lincoln Square neighborhood. Following their SXSW appearances in Austin, TX this March, the band is gearing up this summer for some hot festivals, including the world’s largest music festival: Summerfest. They’ll also be playing a slew of shows in the Midwest and along the East Coast to promote the new album. Spontaneous, professional and passionate, TFL is dedicated to bringing their latest effort to radio and online distribution. Another 300-city, North American college radio campaign through Tinderbox Music kicks off in June. Bio by OnAxis, including interview. These two technicians at Command Performance Instrument and Amp Repair have years of experience, which we paraphrased after the interview process. The bios have helped establish this new business. With 14 years experience repairing and modifying amps and guitars, as well as keyboards, bass, electronics, professional studio and live sound gear, Peter ("Pete") Pena has contributed his expertise to Chicago companies and venues including The Metro, Victory Gardens productions at Steppenwolf Theatre Company, Depth Audio, CPE Sound and Music Garage Chicago. Logging thousands of hours since 1998 in electronics and adjustments to create custom tones, his amplifier construction and restoration efforts cut across brand, make, model and era. In addition, his extensive experience in mobile repair and mixing for live sound, film and studio production work and his ability to diagnose issues offers an unsurpassed repair and enhancement capability. Peter has literally worked on almost every type of gear in live audio, film/television and recording studio sound. From national acts to local bands, Jose offers top skills and experience gleaned from 500 repairs, tune-ups and set-ups on basses and guitar of all makes and types. For his extensive client base, including Billy Dickens (Stevie Wonder), Chris Poland (Megadeth/PolCatz) and Marty Casey (Lovehammers), he has spent hundreds of hours leveling frets, refretting and resetting necks, cleaning electronics, changing and modifying pick-ups, repairing humidity cracks, setting action and intonation, replacing strings and customizations. Formerly of CPE Sound and Music Garage Chicago, he has built a strong reputation for his outstanding customer service approach and ability to deliver work that consistently makes his customers truly happy. Bring your guitar, bass, amp and any other instrument to Command Performance for repair and tune-ups. Located inside Fort Knox Studios, 4255 North Knox Avenue, Chicago, IL 60642. OnAxis completed this bio which was part of promoting Shanon's CD Release event. Shanon Harris comes from a long line of Gospel singers. It's in her blood. Both her Mother and Grandmother sang in Church and Shanon followed in their footsteps, adding a contemporary flavor all her own. Harris's debut album, "Faith First" is being released in August 2012 on ASHRO Records. It's about giving praise to God for all the things He has done and about keeping Him "first" in our lives. This versatile contemporary Gospel singer and songwriter is inspired by groups including The Clark Sisters and Yolanda Adams. Building on this, Shanon has created a signature sound. "This doesn't sound like anybody else, and I'm excited about that," says Harris, who co-wrote many of the songs with Keith Felix. The result is an album that crosses generation gaps, giving praise music for everyone, whether young or old or in between. The writing team spent nearly a year honing the songs, but Shanon has been nurturing her voice for years, singing in choirs throughout school and in Church, as well as working with the Praise Team. In College she studied operatic singing including arias, further sculpting her sound. "God has grout me a long way," says Shanon, "and His timing is always on time." 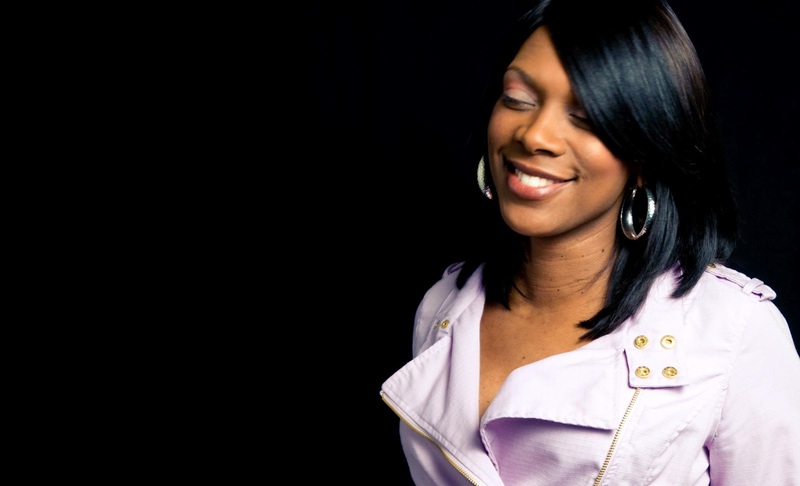 Her debut album will be released August 14, 2012 on ASHRO Records, which houses Gospel as well as jazz artists from across the country and is based in Chicago, Il. We completed this bio as part of the launching of Jeff's original music website. As part of the process, we listened to his latest release "Last Chance". Jeff has gone on to perform at venues such as Hard Rock Cafe Chicago. Jeff Brown of Chicago, the musician-turned-music industry lawyer-turned-musician who grew up with his ears glued to Iron Maiden records and can shred electric guitar with the best of them, has chosen to explore a softer side of life. 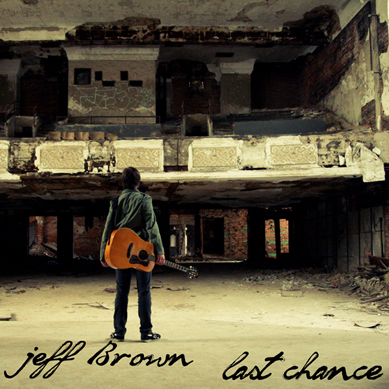 Released in July of 2012 on Chicago's CAUDog Records, his debut album Last Chance is a collection of introspective acoustic folk rock songs that deliver equal parts of “desperation and hope." Creating music rooted in the gentle musings of contemplative trailblazers like Carole King and James Taylor with modern touches similar to Damien Rice and Ryan Adams, the result is an album that sounds like the band is right in your living room. Vocal duets with Austin's Kole Hansen on tracks like “Leaving” are memorable and dramatic and the record falls into a comfortable groove. “Rain” provides a hook recalling a children's nursery rhyme song with the feeling and power that only jaded experience can provide. Primarily folky, the album flexes its Pop muscles with the upbeat song “Harder (a song for May)”. Jeff maintains a music law practice in Chicago both freelance and as legal counsel for CAUDog Records, the very label he is on as an artist. Close-knit music communities are common in Chicago, a city full of musicians. Jeff's connections allowed him to wow his fans with some amazing and unexpected guests on the album. The song “Grace”, in itself a slow burner lighter-flicking drinking dark scotch in the corner of a bar and having a moment type of tune that would blow away most NPR listeners, takes an adventure that even Columbus would be proud of. Mars Williams, world famous saxophonist for bands including the Psychedelic Furs, guests solos on the song providing a genuine jazz saxophone experience in the midst of an otherwise flat folk world. The album artwork is a photograph of the remarkable ruins of a giant broken down auditorium, symbolic perhaps of the emotional wreckage of relationships and their strange beauty. Jeff's artistic musings on this album come from days and hours spent studying the beauty of those ruins. It ends on an uplifting note, with the message that the best is yet to come. An adept performer, Jeff is currently the electric guitarist in the band Goodbyehome and has toured nationally. His stage presence, sense of humor and above all the passion with which he shares his ideas with others make him a singer-songwriter to be reckoned with. From small, intimate cafés to large venues like Chicago's Bottom Lounge main room, Jeff performs solo as well as with the Jeff Brown Extra-Large Trio.